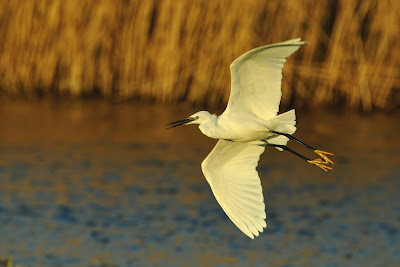 The four flight shots below were taken last night in the bright, low, early evening sunlight. 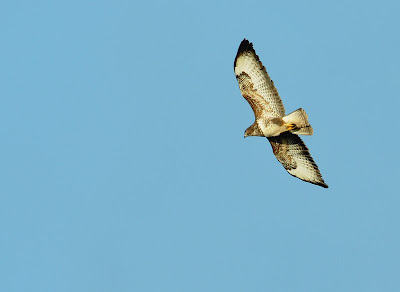 I was particularly pleased with the Buzzard shot as the exposure is correct, for once. I raised the EV to plus 1.3 to fool the meter reader as the camera normally compensates for the bright background sky. The only adjustment to the image is some cropping at the edges to correct the rule of thirds. 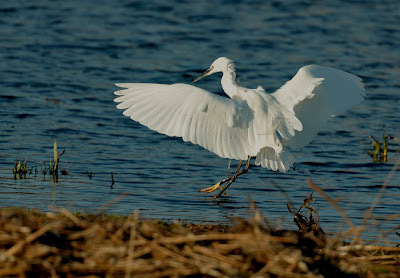 The Little Egret shots were also taken at Marazion Marsh. This adult bird with newly growing plumes fed and flew along the pool near the road. The three images below were over exposed by EV 0.3 and this has been corrected in Photoshop. Do you know if the Bittern is still at the marsh? 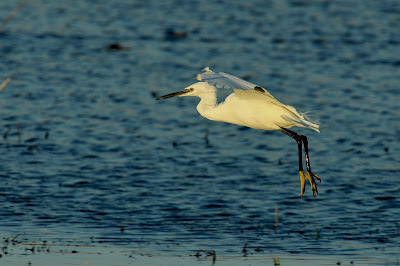 If so where abouts and do you have any tips on photography at the marsh as I am going there on the weekend. The Bittern has not been seen for a few days, though could still be there. For photography, anywhere overlooking the reedbed with the sun behind you.